Sweet Briar College has joined the Department of Homeland Security’s STOP. THINK. CONNECT.™ campaign. This national public awareness campaign aims to increase the understanding of cyber threats and empower the American public to be safer and more secure online. 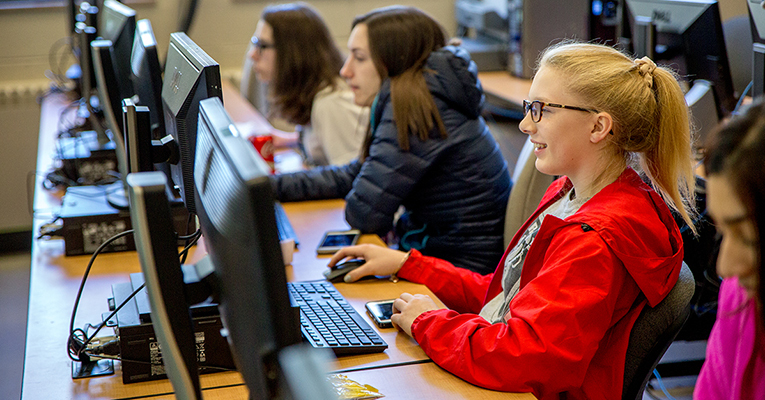 “As Sweet Briar College continues to embrace the conveniences of connecting to the internet on the go, it is essential to protect our information,” said Hooshang Foroudastan, Sweet Briar’s director of technology services. Cyberspace touches nearly every part of our daily lives, including broadband and wireless networks, the local systems in schools, hospitals and businesses, and the nation’s power grids. This new partnership will provide Sweet Briar College with tools and resources to educate faculty, staff, students and alumnae across the country about safer online practices. “Whether you are at work on the company network, at home or on your smartphone, you have a responsibility to create a more secure internet,” Foroudastan said.